After a long day at work I came home to this lovely display in our hallway! Dale surprised me by decorating the hallway! It made me very happy!! I did a little decorating although it didn’t work out as well as I’d hoped it would Above, our decorated mantel. 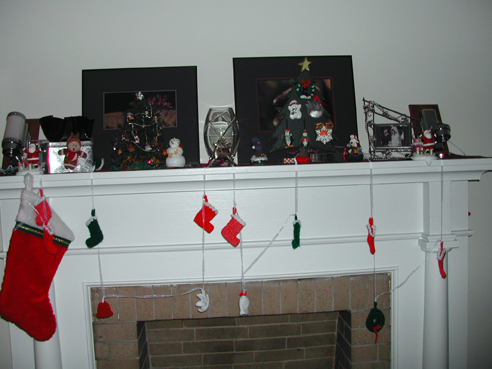 I decorated with little knickknacks–most of them homemade, of course! 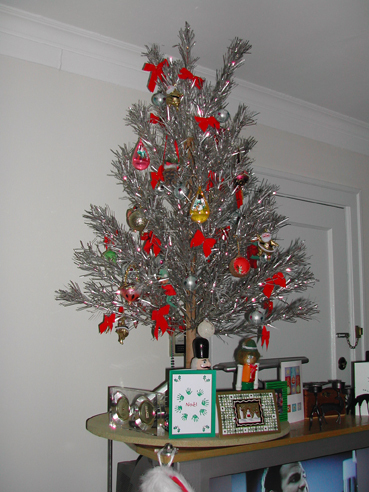 This is our little vintage silver christmas tree, decorated with red bows, silver mini bulbs that my grandmother gave me, and lots of other little ornaments both old and old-looking. Hee! 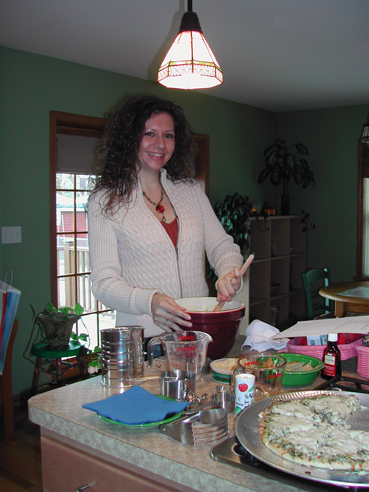 Last Sunday I went to Lara’s house with Rebecca to make cookies! We made a fine batch of sugar cookies and those tasty peanut butter kisses cookies. Dale has been partaking of the sugar cookies all week (to the extent that I might not have any to give my coworkers tomorrow as I’d planned)!